Ocean Space is located in the area of Castello, between the Giardini of the Biennale, the Arsenale and Piazza San Marco. Ocean Space is accessible to visitors with disabilities, and there are no architectural obstacles from the boat stop at San Zaccaria. Our accessible entrance is located around the corner from the cloister (access to public library). Animals are not allowed in the exhibition space. Ocean Space welcomes trained service dogs. 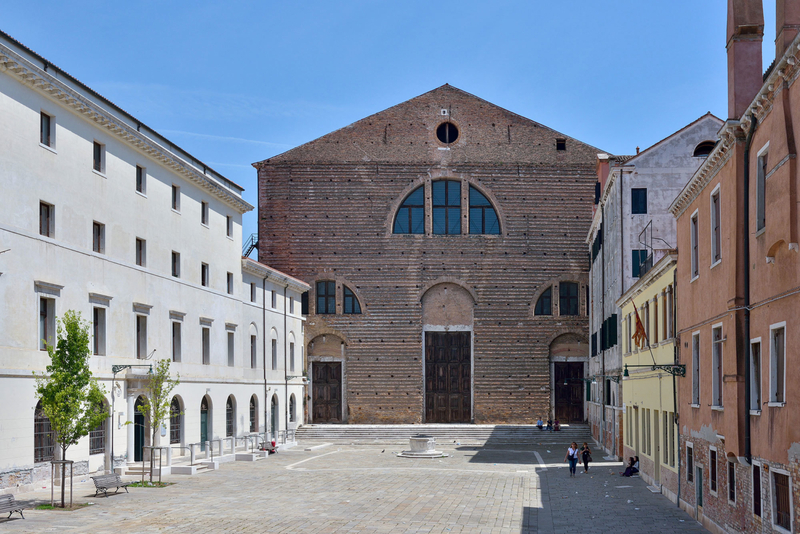 Ocean Space offers guided tours about the history of the Church of San Lorenzo and Joan Jonas. Moving Off the Land II, every Saturday and Sunday, 12.00 pm in English and 4 pm in Italian. Free of charge and booking is not requested. Meet our Exhibition Attendant at the welcome desk of Ocean Space 5 minutes before the beginning of each tour. Private tours of the exhibition can be organized for interested individuals and groups.